This Kirby Lambert Blitz knife was recently acquired from a collection, and is in excellent condition. 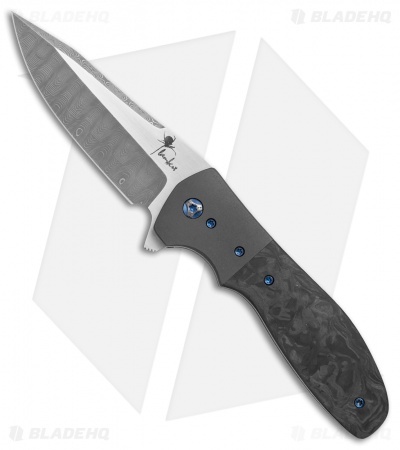 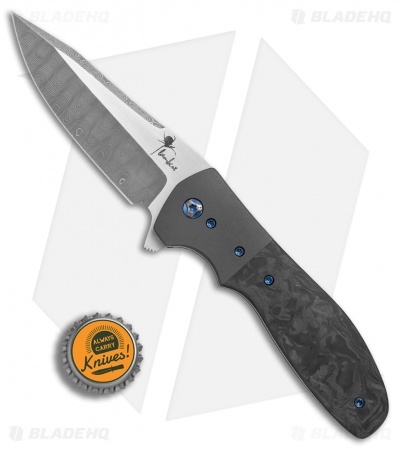 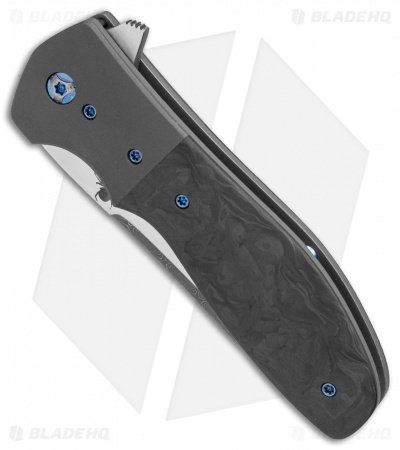 It features a Damascus steel clip point blade with satin flats that glides open on an IKBS bearing pivot. The handle is outfitted with marbled carbon fiber scales and zirconium bolsters over anodized titanium liners. 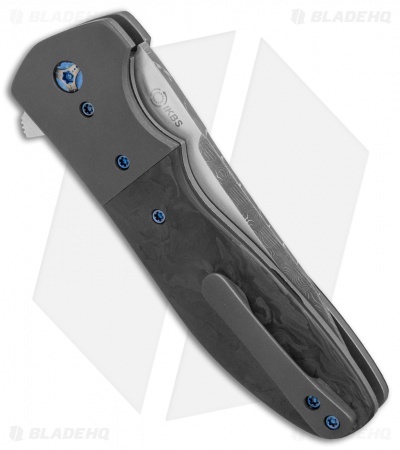 Blue/bronze anodized hardware and a secure zirconium pocket clip round out this impressive custom flipper. Pictured is the actual knife for sale.